Firstly, I have some fantastic news - I've just confirmed my very first picture book deal! Really exciting, it's a story called 'The Flyaway Blanket' to be published by Magination Press in America. Looking forward to sinking my teeth into a juicy few months of character design, storyboarding and illustrating! It'll be lots of work but so worth it. 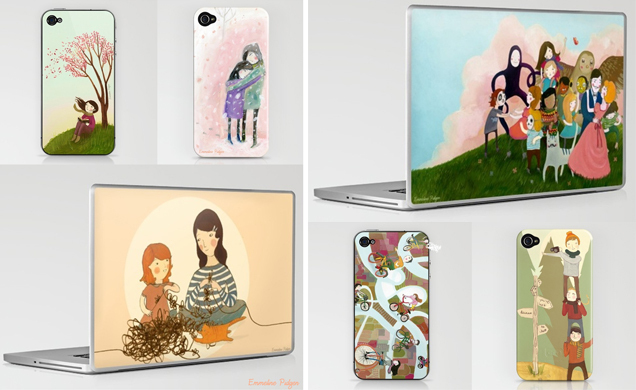 You can now buy prints, laptop skins, ipad/iphone/ipod covers and canvases of my illustration work in my shop. congratulations! very jealous! love all your artwork and look forward to seeing it in a childrens book!